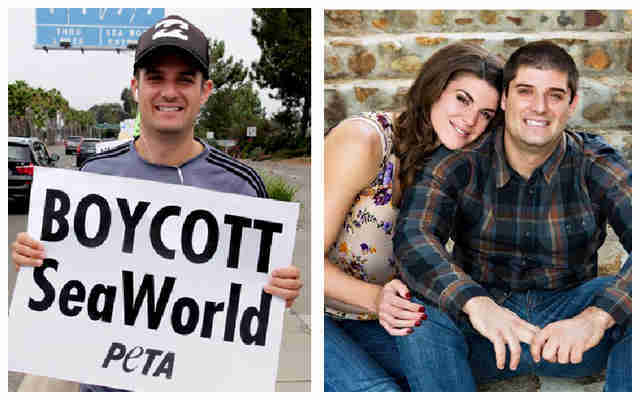 When Thomas Jones showed up on the animal activism scene in 2012, he appeared extremely devoted to the cause, especially marine mammal captivity. Yes, Jones seemed like a vehemently extreme animal activist. Except for one thing: All along "Thomas Jones" was allegedly a SeaWorld employee. "There were a number of red flags relating to this individual. Any genuine animal advocate is not on social media saying things like 'burn SeaWorld to the ground and drain the tanks,'" Lindsay Rajt, spokesperson for PETA, told The Dodo. 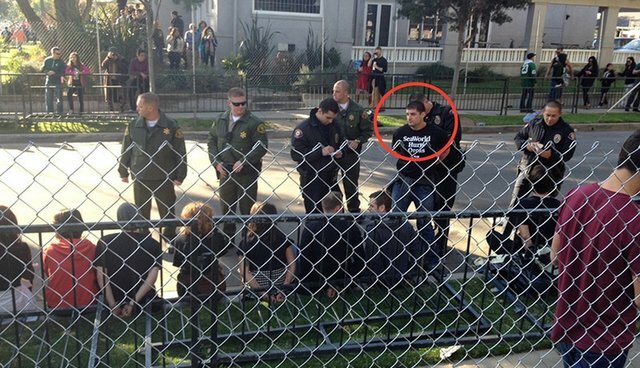 On Tuesday, the animal rights organization accused "Jones" of being Paul T. McComb, a human resources employee at SeaWorld San Diego. SeaWorld did not respond directly to Bloomberg's questions about McComb's employment with the company. And McComb himself hung up on the news organization when it asked about "Thomas Jones." McComb has repeatedly tried to incite animal advocates to act illegally, stating that it's time for SeaWorld protesters to "get a little aggressive," to engage in "direct action," to "grab your pitch forks [sic] and torches," and to blow horns outside the homes of SeaWorld vice presidents at night. He also organized a "direct action" protest-advertising it as "more exciting than just holding signs"-only to fail to appear at the demonstration. 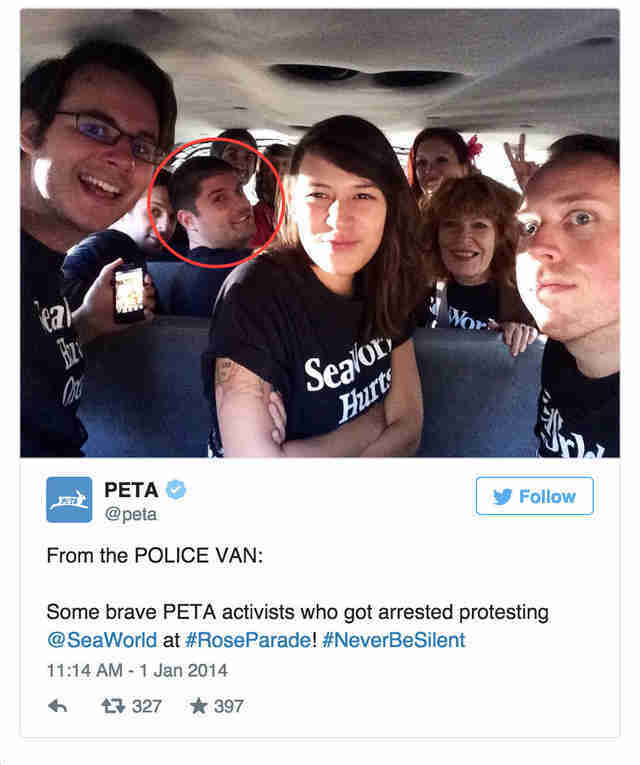 According to PETA's investigation, "Jones" asked for information about protests against SeaWorld and even got arrested during a 2014 demonstration. An activist named Hal Weiss, who sat in the same police van as "Jones," confirmed to Bloomberg that "Jones" was the same man as McComb. But after his arrest, "Jones" simply vanished, and his name never appeared on arrest sheets. 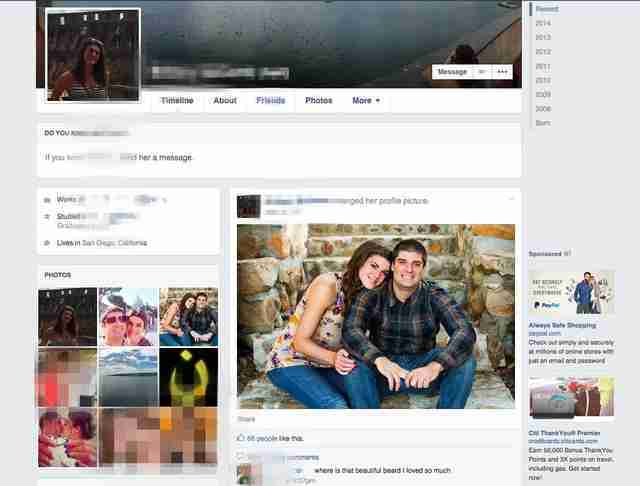 A screenshot of the Facebook profile that helped identify "Jones" as McComb. The Dodo took this screenshot Tuesday morning, just before the page was taken down. "We are focused on the safety of our team members, guests and animals, and beyond that we do not comment on our security operations," said Fred Jacobs, a SeaWorld spokesman, in a statement Monday. "This is a responsibility that we take very seriously, especially as animal rights groups have become increasingly extreme in their rhetoric and tactics." An interesting claim from a corporation whose revamped publicity strategy - after fallout from the 2013 documentary, "Blackfish" - involves a "truth" campaign, supposedly devoted to providing information to an increasingly concerned public. "This is just another black mark for SeaWorld. 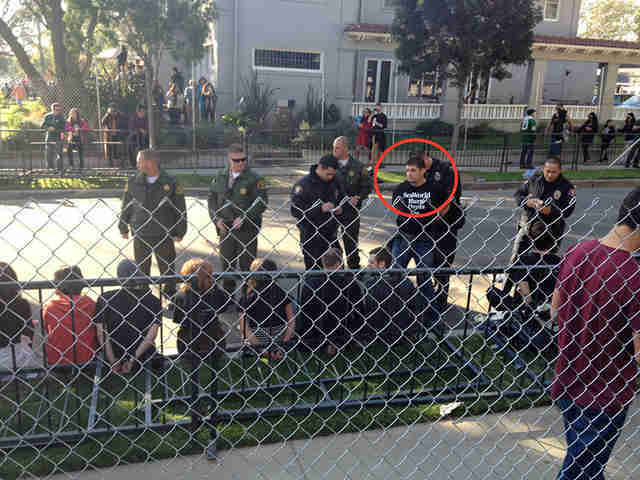 They went in to try to encourage compassionate people to do violent things," Rajt said. "It's just a real hallmark of desperation; this company just cannot defend its cruel practices." "SeaWorld knows that the public is rejecting its cruel orca prisons and is so desperate that it created a corporate espionage campaign," said Lisa Lange, senior vice president of PETA. "Instead of creating a dirty tricks department, SeaWorld should put its resources into releasing the orcas into coastal sanctuaries." SeaWorld did not immediately respond to The Dodo's request for comment.